I wanted to walk right back in and watch it again on the biggest screen possible –and that’s rare for me, even for an action flick. It’s lousy with intensity, explosions, and hand-to-hand fight scenes. It also has this lovely hand-of-God element, forcing a slight hesitation from each actor before the big jumps and big missions. They aren’t as cocky anymore. They shoot from the hip, on hunches, but don’t negate the possibility of death. This element makes it more suspenseful, and possibly more fun. Attainable. Personal. I maybe want to be a spy…or just write spy flicks. Perhaps this level of pleasant, humble humanity stems from the writer / director, Brad Bird, who is new to live action. He is most famous as writer / director of both Ratatouille and The Incredibles. Impressive mantle to take on the next of the MI series. Such a tease to play Sawyer’s (Josh Holloway) cocky mug in the beginning. Oh, J.J. Tom Cruise is back in impressive array, doing his own stunts, and taking it for the team. Despite his quirks, he’s a real movie star. Perhaps the memory of his crazy couch jumping incident lies dormant in the shrouded tomb of Oprah’s show. 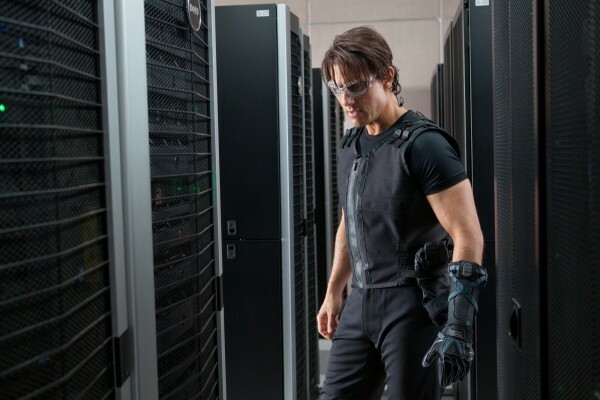 If Ghost Protocol is his awakening, I can’t wait to see what he comes up with next. 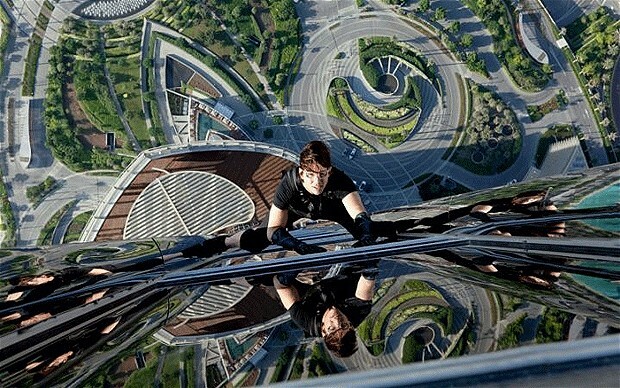 I really enjoyed Mission Impossible 4! It was a great movie and I watched it 3 times now (one time in IMAX). The other two times I watched it online because ticket prices are way to expensive these days ( http://bit.ly/vIGzvP for the curious).